One hundred years ago, WW1 came down on humanity, and nobody had seen it coming. To this day historians are wrestling to find a reasonable explanation for its cause. An estimated 32,000 articles, treatises and books have been published in English alone, trying to find the deeper reasons of what made this terrible calamity come upon us. The world of 1914 was colorful and rich, very similar to where we are at today. Airplanes, telephones and motion pictures had just been invented. Everything looked great, an overwhelming variety of innovations were popping up everywhere, promising for life to become ever more enjoyable. A glorious future seemed to be waiting, only the sky appeared to be the limit. In 1909, journalist Norman Angell published the book "The Great Illusion". In a nutshell he was saying that global economies had become so inseparably intertwined, that war had become ecologically impossible. Everybody would lose at large scale, nobody could win anything. The irony is that history took its course despite his book's great success. Margaret MacMillan, a renowned Oxford professor in history shows that Angell was absolutely correct regarding the economy, and yet totally wrong. In her excellent new book "The War that ended Peace" she analyzes the many facets that were in play, uncovering the parallels to our present times. Very similar to the situation one hundred years ago, fast paced changes unsettle today's world. Right wing movements are gaining ground, providing outlets for frustration and fears. There's an increasing gap between rich and poor as well as between North and South which fuel ethnic and religious unrest. Nothing is the way it once was. Jobs and security people once were counting on are disappearing. A growing disorientation becomes the breeding ground for the irrational. Says MacMillan: "Globalization can also have the paradoxical effect of fostering intense localism and nativism, frightening people into taking refuge in the comfort of small, like-minded groups. One of the unexpected results of the Internet, for example, is how it can narrow horizons, so that users seek out only those whose views echo their own, avoiding websites that might challenge their assumptions." Amongst the big nations, MacMillan finds shocking parallels too. " It is tempting—and sobering—to compare today's relationship between China and the U.S. with that between Germany and England a century ago. Now, as then, the march of globalization has lulled us into a false sense of safety." "One hundred years ago, on the eve of World War I, Britain, the world’s greatest naval power, and Germany, the world’s greatest land power, were each other’s largest trading partners. British children played with toys made in Germany, and Covent Garden resounded with the voices of German singers. Moreover, the two nations shared a religion—the majority in both was Protestant—and family ties, right up to their respective monarchs. But all that did not translate into friendship. Quite the contrary. With Germany cutting into Britain’s traditional markets and vying with it for colonies and power, the British felt threatened.... Many Germans held reciprocal views. Germany, they said, was due its place in the sun—and an empire on which the sun would never set—but Britain and the British navy were standing in its way." Studying history is of tremendous value. Mark Twain is quoted having said that "history doesn't repeat itself, but rhymes". When we see parallels and similarities it becomes possible to recognize looming dangers, to early enough take a different route. A doctor might say that the correct diagnose is half the healing. When we`re able to put our finger on underlying problems we're on track and right action can be initiated. What's true on global scales resonates through our personal lives too. We`re all embedded in the same energy field, we all come out of one gene pool, we're all prone to similar mistakes and misunderstandings. 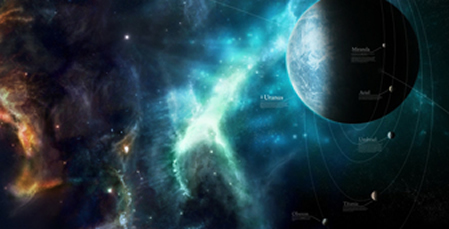 For the first four months of 2014, the celestial field is dominated by personal planets retrograding. First it's Venus, then Mercury and finally Mars. Cosmic signs are quite easy to read; backwards motion means retreating, pulling our energies back, disentangling. Getting more distance, we can regroup and approach life from slightly different angles. I'm sure, we all may notice, there are big changes in the air which will be due later this year. Hence we better use the coming months to prepare and get our act in order. 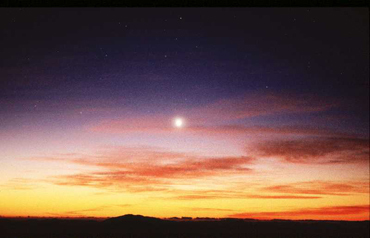 Only hours after the exact moment of winter solstice, Venus began moving backwards. As mentioned in last week's forecast, the new Venus cycle began on January 11 when Venus passed exactly between Sun and Earth. The situation of our lives probably hasn't changed that much recently, however we may be more aware that our expectations and reality aren't congruent. Love relationships may get tested. We may wonder what part we play, what kind of vibes we transmit, why certain experiences are coming our way. We're in charge at all times. The more we can accept this fact the easier it is to change unfavorable aspects. The secret is to take things as they are and not be forceful. The present situation might not feel that easy, however in hindsight you'll realize how deeply insightful a time it's been. When Venus moves backwards our emotions can be in turmoil; hence this isn't the best time to look for a new partner. And if you're in a relationship refrain from blaming. The best we can do is watching our emotions, seeing how they arise and pass. We may try figuring out what caused them, what they were triggered by. At first sight it might seem that other persons would be culpable. However, upon closer examination you might see that it's not really the other person, it's our perception of who you perceive them as. Seeing this you might realize that it's within your power to shift your perception. Put yourself in a different place and you will be looking at everything from a slightly different angle. Changing your take on what is, shifting your attitude can do the miracle. Nothing has changed and yet everything is different. That's what free will really means. Every moment we have the choice to be miserable. Or to say yes and be grateful for what is and accept our responsibility. I'd love hearing back from you! It's now five months since I started writing this column, and I'm not sure if I should continue this format. Most particularly I'd like to hear your opinion on the daily forecast. You can contact me at cosmoswithin@gmx.com. I also would like to invite you to join the Facebook group 'Celestial Rhythms'. Your thoughts and insights are highly appreciated. Thank you for being here! 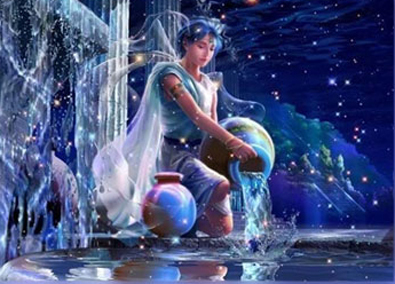 Since yesterday night the Sun is in Aquarius, the sign of the Water Bearer. In the Tarot, the Star card resonates with this innovative, original and universal sign. Aquarius energy is refreshingly detached and nonchalant. Capricorn and Aquarius are both ruled by Saturn, representing the particle/wave paradox. We might be able to feel lighter today, leaving some of the Capricornian confinement behind. White Self-Existing Wind is highly communicative. Profound conversations are touching on complex themes, there's an inclination to the serious and difficult. However as the day goes our direction becomes clearer and we might come to important decisions. After 2 p.m. the Moon is void-of-course, shifting energies to right brain mode. Early morning the Moon enters Libra. Appreciating beauty comes natural, it might strike us that god is everywhere, harmony and perfection are all around. Feeling this natural enchantment, peacefulness descends. In a more expanded sense, this Libra Moon wants us to look at how we relate to others, and why we do so. Mutual giving and taking bring color, excitement and flow to our lives. Blue Overtone Night adds a deep and yet playful note. Rich, abundant and resourceful, and far from superficial. Conflicting energies are giving this day a bit of an edgy feel. Even best friends once in a while are in strong disagreement. We should remember that such moments eventually bring us closer. Although the first reaction may be defensive, following up and silently processing we may find a middle path. In surrendering, another sharp corner of our ego is melting away. Yellow Rhythmic Seed is sparkling with creative ideas and enthusiasm. Sharing is important, even in the face of temporary upheaval and confusion. Until 2:43 p.m. the Moon is void-of-course in Libra. If one is too polite, gentle or hesitant in expressing one's expectations, a good opportunity might be lost. This is not the moment to be weak, as it might lead to losing what has already been accomplished. The message is to be firm in principle and express one's desires and goals. Mars isn't really feeling at home in Libra. The fiery and impulsive planet has difficulties adapting to the gentle and often indecisive climate Libra lives in. Red Resonant Snake could indicate a powerful day. It might matter a lot to trust our gut feelings and navigate through the uncharted without hesitation. Once the Moon is in Scorpio vision might clear up and everything will make more sense. There's a waning half Moon in Scorpio today, initiating the last seven days of this Lunar cycle which began on New Year's day. This waning half Moon also leads into the last week of the Water Snake. Reorientation is the key word. Now is the time, we shouldn't wait any longer with applying what we've come to know. Expressing and sharing our thoughts brings inspiration and may lead to committed action. White Galactic Worldbridger allows the non-physical to shine through. Compassion and forgiveness come natural, they motivate our actions. Venus approaches Pluto, Jupiter opposes both of them. Strong urges and intense emotions, there's the chance that situations might get out of proportion. At first there's suspicion, resistance and isolation. However soon recognition sets in that these feelings are unwarranted. Then there's a release, like an unexpected rainfall relieving hot and dry weather. The Scorpio Moon is void-of-course for the whole day. Blue Solar Hand is practical, innovative and intelligent. The Moon is now in Sagittarius, generating enthusiasm and determination. Life is an adventure, challenging us, wanting us to reach out and explore. Everything is in constant motion, there's no guaranteed outcome. Belief won't do, we will have to find out ourselves, wisdom has to be earned. Be persistent, hone in on what's calling, give everything you can. Be assured, it will be worth it. Yellow Planetary Star worships beauty and perfection and strives for excellence.